at the command prompt, by selecting "Demos" from the Matlab "Start" button, or from the "Demos" tab in the help browser. 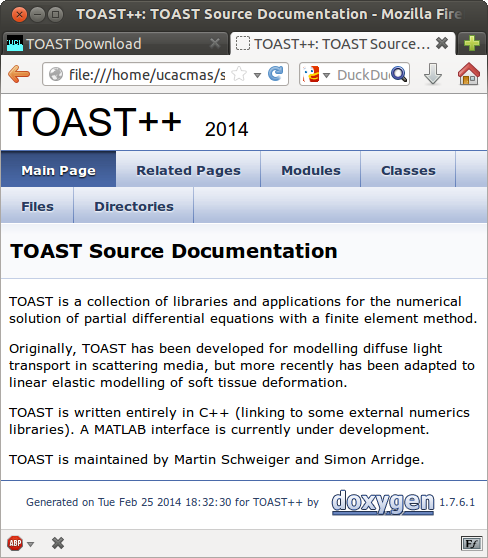 The demos are showing some of the Toast toolbox capabilities in small example problems. This will open the GUI interface for entering reconstruction parameters to the TOAST reconstruction code. 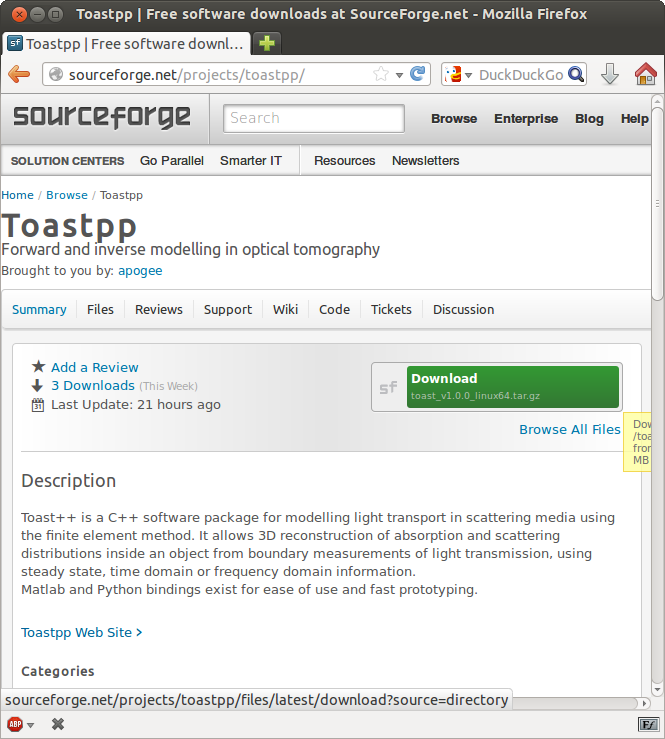 Click "Load", and open the file toast2008/test/2D/matlab/recon1.prm. This will load the parameters for a reconstruction on a circular test problem. Click "Run". This starts a reconstruction. After a few seconds, the results of the first iteration will be displayed.